Do you need to replace your home’s garage door? Interested in a new wood garage door? Wood garage doors are appealing to many homeowners for their warmth and unique beauty. 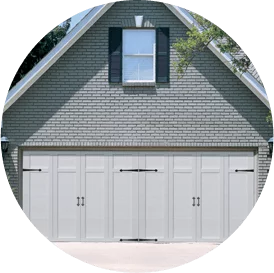 If you live in the Burlington, Vermont area, Overhead Door Co. of Burlington can install your new garage door, as well as take care of any repair needs you may have! If you need wood garage door service, contact us today, or keep reading to learn more about our wood garage doors. We offer two lines of wood Overhead Door garage doors—Traditional Wood Collection and Signature™ Carriage Collection. Why Choose Overhead Door Co. of Greater Burlington for Wood Garage Door Services? Get in touch with us by filling out the form on the page or calling (802) 448-4752!